These days, an office is so much more than just the place you work. For some, it’s a home away from home, a place where you spend early mornings or late nights, the breeding ground for your passion, hard work and creativity. It should endeavour to inspire, to comfort, nurture and communicate the company’s culture at first glance. At STUDIOMINT, this is what we do best.At STUDIOMINT, this is what we do best. We create inspired corporate and commercial office designs across Melbourne. Our team of Melbourne based office interior designers get to know the personality of your business and its employees before creating a standout arena from which they can enjoy the day to day grind. We deliver results that reflect your company and promote efficiency. We are passionate about cultivating an environment that encourages collaboration, fulfilment, wellbeing and productivity – qualities that are undeniably linked to success in the commercial world. Our comprehensive approach ensures that every detail is taken care of, from the colour scheme and furniture recommendations to sourcing unique custom details that really bring the space together. The result is a professional environment that is less clinical and more comfortable, allowing your employees to love what they do and where they do it. 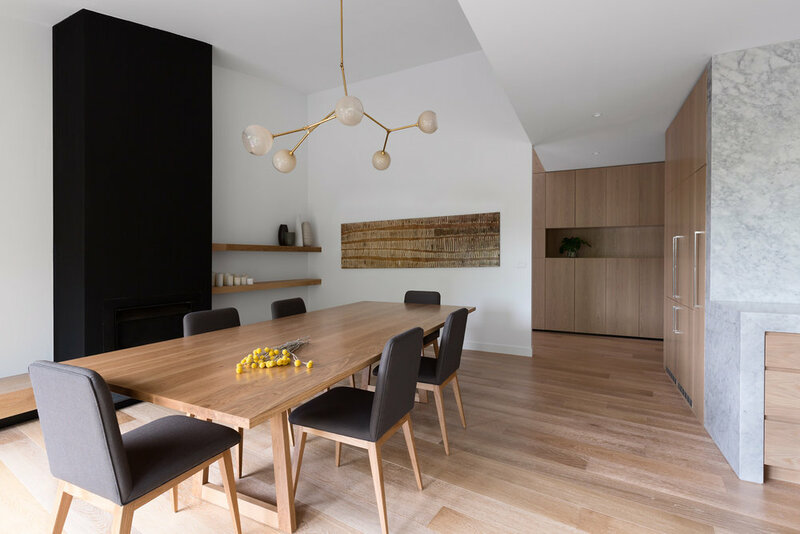 Don’t be fooled by our small team of six Melbourne based interior design and architectural professionals – what we lack in size, we make up for in passion, dedication and creativity. Offering all the trimmings of a large company with the detail of a bespoke service, we combine unparalleled quality with unprecedented innovation. And we not only complete office interior design, but interior design for your home as well. Our interior design team excel at all design types, from French provincial to modern. At the end of the day, our home and office interior design services aim to provide something unique to your business, setting it apart from other commercial office spacein all the right ways. Learn more about our commercial office design solutions by contacting our team today on 03 9092 2678. We work together, to develop a design brief. This would include, understanding your functional space requirements, style, budget and timeline. We take your design brief and collate images and prepare initial plans for your space. The concept images provide a compass for your design, and also direction for the space planning. This is the fun stage, where you get to see realistic visualisations of your space and finalised plans. We provide visualisations for every projects as not every client can see what a space looks like from 2D plans. We'd love to hear about your new project, or questions you may have regarding interior design. Thank you for your email, we'll be in touch with your shortly!